The acclaimed City Hall Sessions music series returns to City Hall in Cape Town's City Centre with a New Africa Re-Connection Showcase on Sunday 6 October 2013. Coinciding with the African Creative Economy Conference which takes place in the City from 06 – 09 October, the showcase presents an array of entrepreneurial new African voices, who follow in the steps of the continent’s established names, and are making impact in the region, and globally. Emphasis is made on voice rather than instrumentals, thus the showcase includes Munit & Jorg, a vocal and guitar duo from Ethiopia, rapper Didier Awadi from Senegal, singer Stewart Sukuma from Mozambique, and Cape Town vocalist Sakhile Moleshe. The show on October 6 starts at 7.30pm, with a first set where voice is accompanied by guitar. After interval, local showband Hassan’adas up the tempo, providing the groove and backing for some of the continental guests. Funded by the National Lottery Development Trust Fund (NLDTF) with the support of the City of Cape Town, City Hall Sessions is a project of The Cape Town Partnership's Creative Cape Town programme, and is aimed at bringing a diversity of world class music performance into the heart of the City. The shows are produced and directed by Making Music Productions, who have pioneered the platforming of African sounds in Cape Town and elsewhere for over two decades. The CityHall Sessions work within the historic space of the City Hall, pushing boundaries and diversity of presentation. 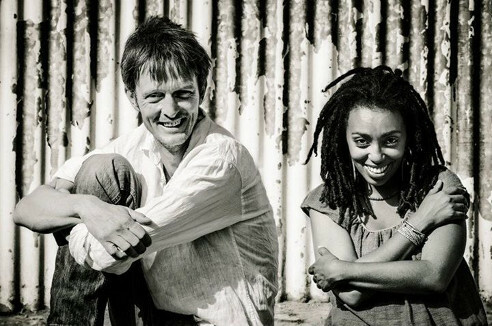 These sessions staged acclaimed debut concerts in September 2011 and now are a popular recurring event in Cape Town. When? Sunday, October 6, 2013. The concert starts at 7.30pm. How much? Tickets for this show are priced at R80 and are available from Webtickets. Interested in getting more information on great Insider Tips on Cape Town Events and info on living in Cape Town? Then simply subscribe here to my free monthly ExpatCapeTown Newsletter with loads of free Cape Town Insider Info.